There is, however, a way to tweak incoming audio signals through Apple's first party apps. To do so requires AirPlay, which isn't the most elegant or convenient of options, but the results are worth it for users who want a bit more control over HomePod's sound. 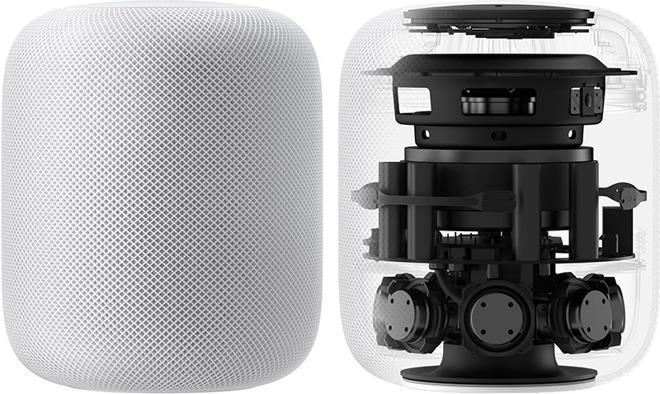 As with other AirPlay speakers, HomePod accepts connections from both Mac and iOS, meaning host devices can fine tune output signals to suit user needs. HomePod will adhere to these frequency settings when connected to an AirPlay source, providing a workaround for a distinct lack of built-in equalizer controls. 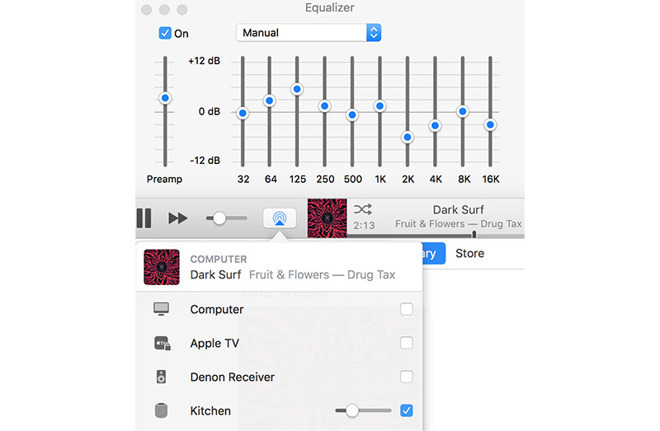 The Mac offers a more granular set of customization options than mobile, as users can tweak individual frequency settings via iTunes equalizer. First, open iTunes and connect to HomePod by clicking on the AirPlay icon located to the right of the volume slider. Select HomePod and begin music playback. Next, navigate to Window > Equalizer in the menu bar and either select a preset or drag the frequency sliders to increase or decrease volumes of individual frequencies. The Preamp slider controls adjustments to overall volume of all frequencies, but these modifications can come at a cost to fidelity. Users can also save customized presets from the Equalizer window. In addition to its equalizer, iTunes offers a Sound Enhancer capable of expanding the "wideness" of a virtual stereo effect by modifying bass and treble response. To enable the feature, navigate to iTunes > Preferences > Playback and switch Sound Enhancer on. The effect is not immediately apparent with a single HomePod, but Sound Enhancer could come in handy once Apple activates HomePod synchronization in a future software update. 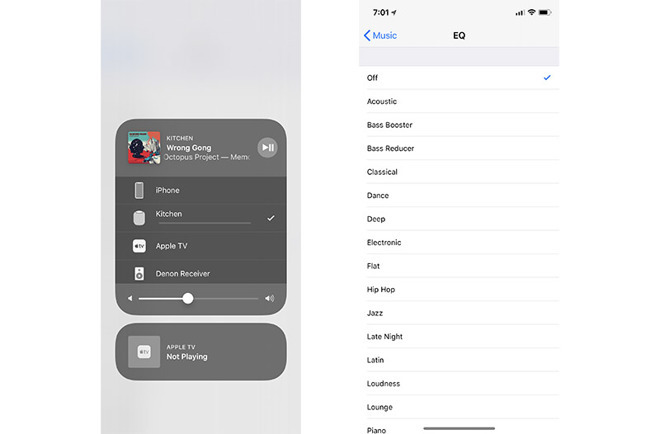 Adjusting sound output from an iOS device can be accomplished through Apple Music or similar content playback apps that feature software equalizers. While HomePod features built-in Apple Music accessibility, playing music from Apple Music on an iPhone or iPad over AirPlay will allow users to access audio settings. In Apple Music, tap on the AirPlay icon at the bottom of the Now Playing pane and select HomePod. Next, close Music and open the Settings app, navigate to Music > EQ and select from Apple's list of presets. Other apps offer similar or even more robust options. Spotify, for example, allows users not only to select from predefined presets, but also adjust frequencies by manipulating a graphical equalizer.